Our switch to a dedicated server was inspired partly by the growth in our traffic. But, mostly, as with many changes one makes in life, our switch was prompted by frustration with the status quo. That status quo was with VPS.NET, a provider of VPS hosting who we found to be maddeningly inconsistent. Sometimes, everything with VPS.NET would go swimmingly well. And then, sometimes, we’d go through periods in which are our site was going down every week. Sometimes, VPS.NET customer service would respond quickly and be hugely helpful. And then, sometimes, they’d take days to get back to us, reply with irrelevant canned answers or even outright refuse to help at all! To their credit, VPS.NET used to give a month’s refund for periods of especially bad service — if we asked for it vociferously enough. When even those refunds stopped, we jumped ship. • More reliable and consistent. The V in VPS is key. 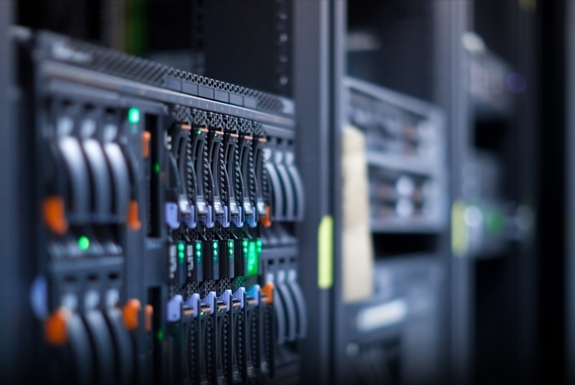 With a VPS, your server might be “virtually” private. But it isn’t actually so. With a VPS you are still sharing a server with other websites, which means your site is affected by the traffic fluctuations of your server mates. And if another website on your server does something to crash it, your site does down too. • More secure. Information on a shared server — where there are multiple accounts and multiple users — is simply not as secure as it is on a dedicated server. • More robust. Though a good VPS will be able to scale your hosting relatively quickly, on a dedicated server running out of RAM or storage space are non-issues for all but the largest sites. • Not much extra cost. A VPS with one or two nodes can be a good deal. But as you start to move to three, four or more nodes, a VPS hosting plan can cost almost as much as — and sometimes more than — a dedicated server. How is our Hostgator dedicated server working out for us? In short: Absolutely brilliantly! Hostgator did all the work migrating our websites from our old host — and they did so for zero additional cost. The company is clearly experienced at doing such migrations and manages the process with Swiss watch precision. We were even able to test how how our websites worked on the new server before it went live, just to double check that all was in order. In three months since then, this site has been down for a total of 1 minute (and even that wasn’t a total shutdown). That’s an impressive up time. As for the customer service, we’ve had exactly one issue come up; it was with an email address. Although the issue wasn’t Hostgator’s fault, their customer service went back-and-forth several times with us to get it worked out. So, a Hostgator dedicated server ended up being exactly what we were looking for. HOWEVER . 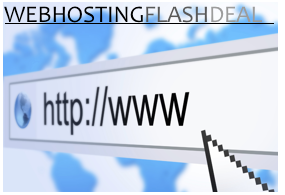 . . it should be said that Hostgator doesn’t have the absolute cheapest managed dedicated server deal out there. At $179/month, we find it a good value. There’s an even better value to be found with a 1&1 dedicated server, where an equivalent managed plan costs a mere $80/month! But 1&1 requires a 12-month contract (Hostgator is contract-free). And 1&1 won’t migrate your old sites for you. And 1&1 uses the Plesk interface (Hostgator comes with free use of the superior cPanel). AND, based on our interviews with their customers, 1&1′s level of customer service isn’t quite as good as Hostgator’s. For us, those trade offs weren’t worth it. For others, they might well be. Also, if you are a tech savvy type there’s no reason why you have to get a managed dedicated server. A dedicated server you manage yourself — that is, a server you set up and maintain without aid from the host company’s customer service — costs a fraction of the price managed servers do. (If you see a too-good-to-be-true deal on a dedicated server it almost certainly doesn’t include managed help). But you’ll not only need the know-how to manage your server, you’ll also need the time to do so. For Spot Cool Stuff, we view website hosting the way we view the brakes on our car, the electricity in our home and the place kicker on favorite football teams: We want our website hosting to work — every time and all the time — without us having to do anything. Until we sat down to write this review, we’ve spent virtually zero time thinking our website hosting company since we switched to a HostGator dedicated server. And that’s exactly how we like it. We’d so much rather spend our time writing about cool stuff.